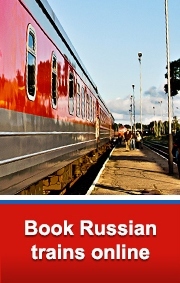 The most suitable way to travel is to buy Russian Train E-tickets. You can buy E-tickets to Russia on this website, without leaving your home. Russian electronic tickets are delivered to your email address. When you receive your E-ticket, print it and exchange for a boarding pass at the Russian train station.